The evening before Thanksgiving is one where there's meal prep going on and visiting and traveling - and to make the most of it, what do millions of Americans choose for dinner on this busy evening? If you said pizza, you guessed right. Pizza is understandably appealing for the evening before Thanksgiving for its convenience and versatility. According to the American Pizza Community (APC), pizza is frequently chosen around celebratory occasions and large family gatherings as it is highly-customizable and very transportable, allowing you to get an oven-baked meal delivered hot to your door. The APC is a coalition representing pizza stores big and small, and supplier and vendor partners that make up the American pizza industry. Thanksgiving Eve remains one of the five busiest days of the year for pizza orders. Some of the larger pizza companies estimate that they will sell more than one million pizzas on Thanksgiving Eve. 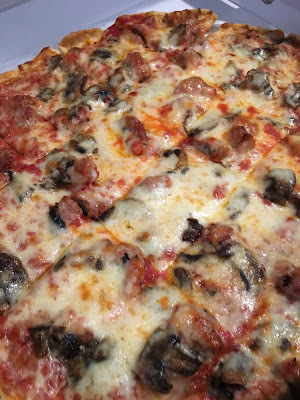 Pizza is a flexible option: pick it up, dine in or have it delivered. Any way you slice it, it's hot, fresh and easy. Are you planning to order pizza for dinner on Thanksgiving Eve? What's you favorite spot to order from?